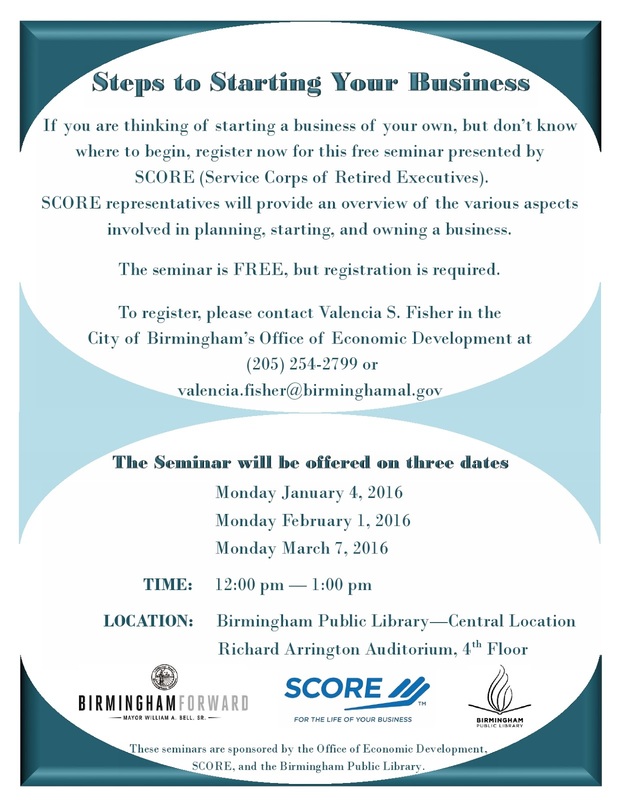 The Birmingham Public Library, in conjunction with the Service Corps of Retired Executives (SCORE) and the City of Birmingham’s Office of Economic Development, will be hosting a free seminar, Steps to Starting Your Business, on February 1 and March 7. The seminars will be held from 12:00 to 1:00 p.m. on each day in the Arrington Auditorium, which is located on the 4th floor of the Linn-Henley Research Library. Each seminar will cover the same topics, but those who are interested are welcome to attend more than one day. Topics covered will include crafting a vision statement, identifying sources of funding, determining the legal structure of your business, devising a business plan, and investigating sources of business and economic information. 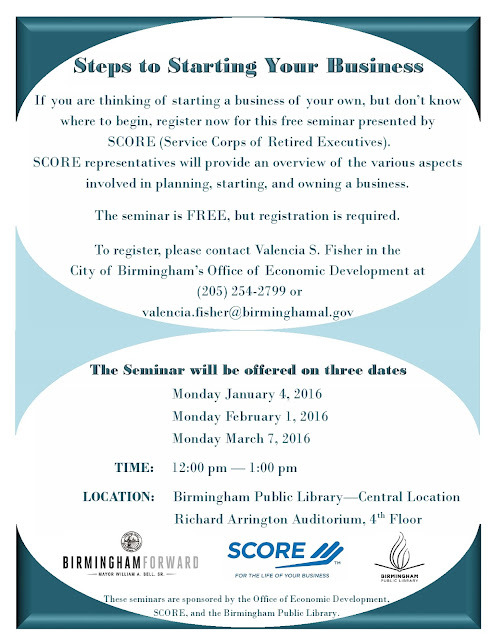 Please register for the seminars by contacting Valencia S. Fisher in the Economic Development Office at valencia.fisher@birminghamal.gov or by phoning 205-254-2799.